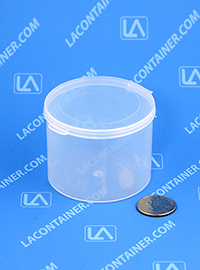 The Lavials® VL40L large hinged-lid lab vial is manufactured in the USA with FDA compliant food grade plastic material making it safe for use with storing food, candy, or tobacco products. 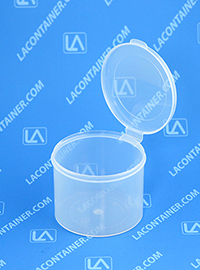 With an attached air and moisture resistant lid, the VL40L can be used to keep crafts supplies such as molding clay organized and preserved from drying out. 2.56" Dia. X 2.00" Ht. 69.59mm Dia. X 53.10mm Ht. 65.02mm Dia. X 50.80mm Ht.